Holston Home is looking for volunteers 17 years of age or older who would be interested in helping out with our horses. 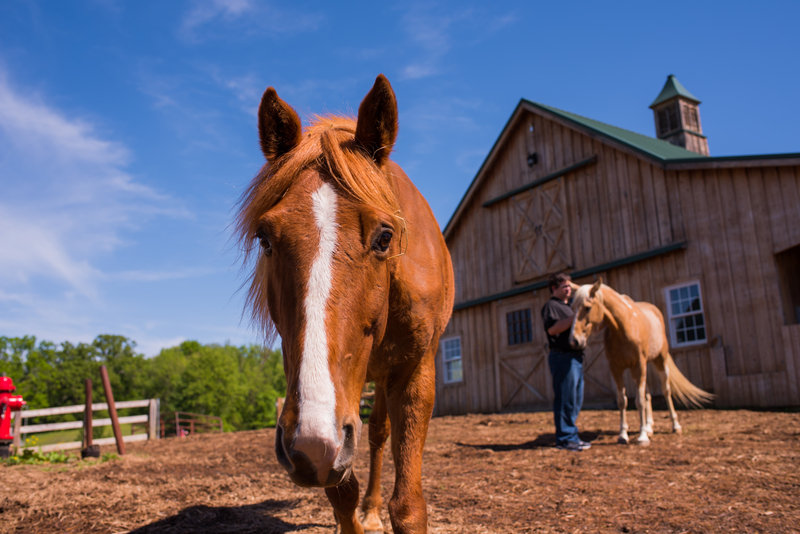 Volunteers would help feed horses and complete miscellaneous chores at the barn. We often need help on the weekends and would love to find some folks who are also willing to be on call when our staff is unavailable. If you are interested in volunteering with our Adventure Based Counseling Department, please contact Susan Bernier at 423-787-8753. Volunteers have a very special place at Holston Home. Some opportunities are designed to build healthy relationships with children, other projects focus on grounds and building maintenance. Many individuals and groups are needed throughout the year to assist Holston Home in meeting the needs of our children and program. Contact Susan Bernier at 423-787-8753 or by sending us an email. Individuals matched to assist children with daily homework or special projects. Individuals matched to an individual child to enrich his or her life through regular activities, visits, and outings. Groups or individuals that would like to assist with worship, teach or lead Sunday worship. Please contact Abel Carrico by sending us an email. Often groups and individuals calls to schedule volunteering opportunities across the campus. Opportunities such as: fence painting, lawn and landscaping cleaning, lending a helpful hand to our Adventure Based Counseling. This is allowable and should be scheduled through the Development office at Holston Home. To help out please contact Susan Bernier at 423-787-8753 or by sending us an email.